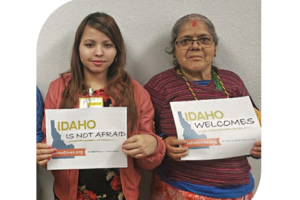 A fundraising campaign for Jannus, Inc.
$10 can help us welcome refugees in their new homes in Boise. $50 can help refugees with their immigration process. 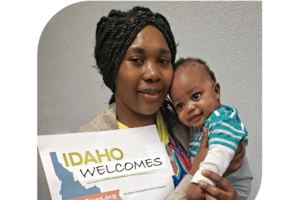 $100 can help us support families find a better life in Boise, ID. 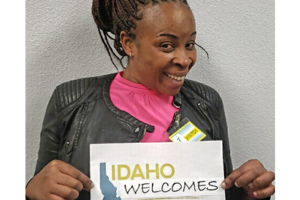 A year ago, we featured Jacky, who came to Boise with her brother, and we would like to share a few updates about her journey with you. In the last year, Jacky completed training at Create Common Good, and she got a job at Chick-Fil-A to start out. In her free time, Jacky has used her background in design studies to work on her passion for fashion design. Jacky has worked to create clientele and make design pieces for client orders. She has now designed and created pieces for weddings, fashion shows, and custom personal orders in Boise. Jacky is also working on launching an African clothing business. 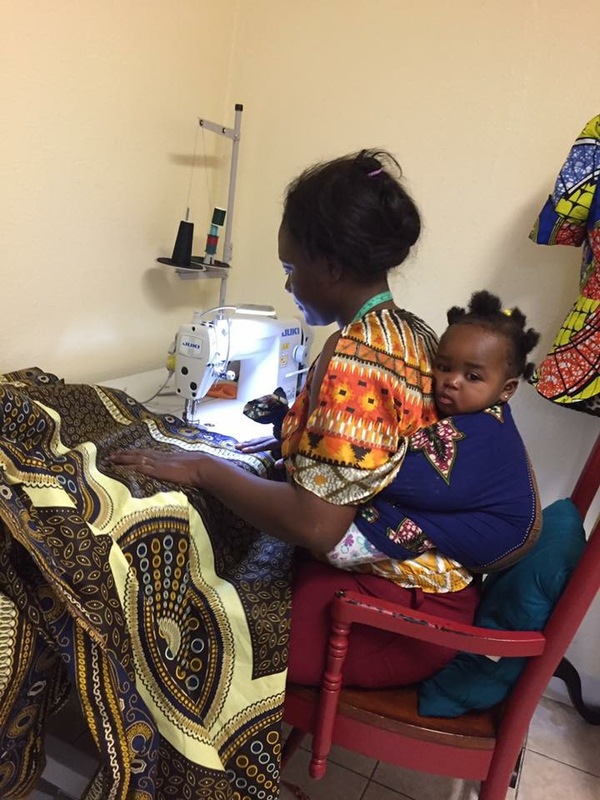 In this picture, you can see her working on her designs with her baby girl, Gracious, who was born shortly after their arrival in December 2016. In the future, her goals include continuing her education to eventually become a nurse. She hopes to be soon reunited with her husband who still remains in Zambia. Jacky is thriving in Boise and has shared and continues to share her many talents with our community. 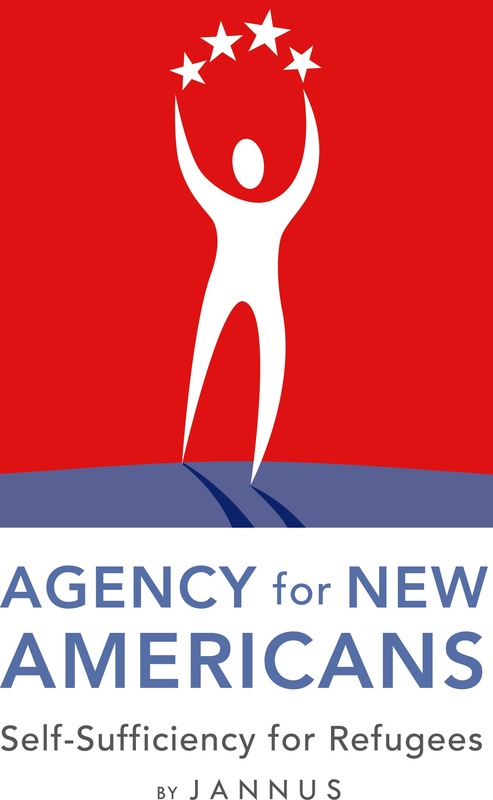 For more than 21 years, Agency for New Americans has continued the U.S. long history and tradition of “nation of immigrants” by helping our new refugee neighbors integrate and become self-sufficient as soon as possible. Refugees are some of the most resilient and hard-working people you will ever meet! Jannus is successfully helping individuals, families and communities in transition — from infancy to healthy children, from illness to health, from refugees to working citizens, and from isolation to community. Jannus changes lives through caring volunteers and a portfolio of diverse programs that promote health, advance policy and create opportunity. 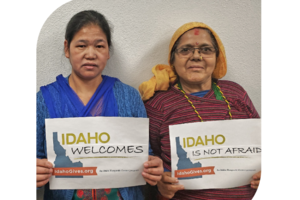 Jannus programs touch more than 35,000 men, women and children in Idaho annually. Join us in changing lives!